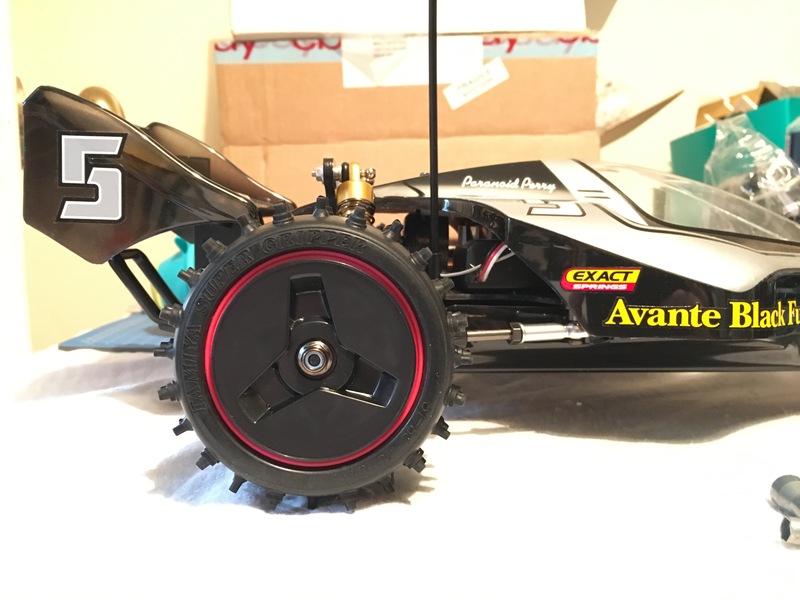 I'd like to fit some black Thundershot style wheels and tyres on my Avante project, but could use some advice. This is just for a shelfer, but I'd like to it could run if needed. I don't want to cripple it. I bought a pair of the Thundershot rims to test the fitment. At the back, things are OK, but there are very close to rubbing on the screws that connect to the uprights. They are a bit wider than Avante wheels, and have a significantly smaller diameter too. I think with a thing spacer in there, they will do. So on the front, I considered whether I could cut the wheel itself down to a narrower width, inspired by @TomEG's awesome thread about his Avante XL project. This throw up a few issues. Will it be enough for a comfy fit? How on earth do I cut the wheel effectively (In @TomEG's example, he says it was simple. Maybe I'm a bit simple, too . Finally, and I think maybe this is the really tough bit. 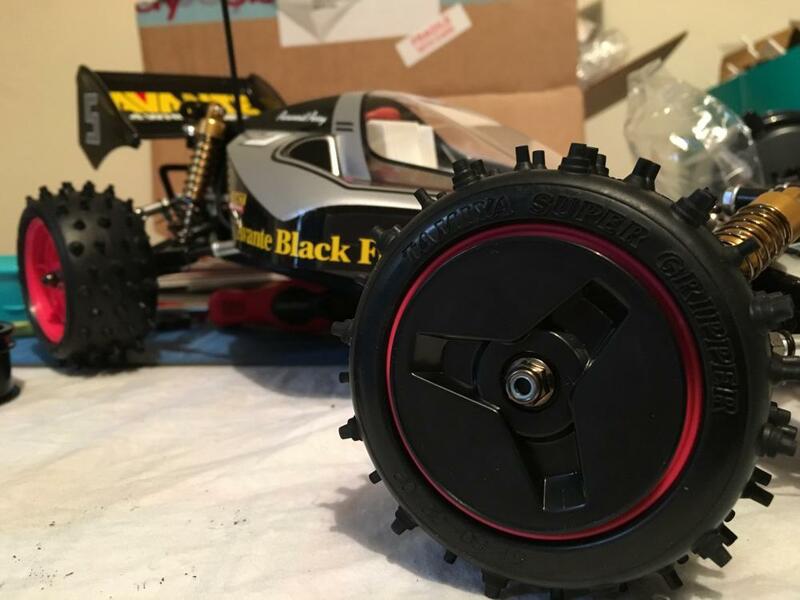 If I trim the wheels down, is there a tyre out there than might still fit? Interested to know if anyone thinks this sound plausible, or if I should give up the dream. I lined up the rims on top of my current wheels and, with one eye closed to help me blur reality into fiction, they looked sweeeeet! Even better, someone tell me I'm being dumb and there is a narrow front wheel and tyre version of this awesome design! Puzzled a lot of options and came up with a solution, though some of you may think this is all kinds of wrong. I went the Lo budget tuner route. Hub caps! Hack sawed the front lip off the thundershot wheels. They sit over the egress wheels really well, and the underlying three spoke design clicks naturally into place on top of the egress six spokes. The thread is just long enough to get good purchase, though can’t be sure they’d stay on for long on a run. They go just as well on front or rear egress wheels, and the standard egress colour options (white, black, pink) give me some cool pin stripe options. It actually looks quite clever with the red metallic lip showing.